Jake.C.Eley Roofing - Roofer based in Blackpool, Lancashire. 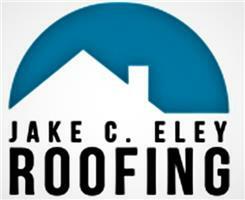 Jake.C.Eley Roofing Offers quality workmanship for affordable prices. Starting in one of the biggest companies in the north west Jake gained experience from the best in the trade over his 8 years Apprentership. Before becoming a tradesman for himself. Then after a career with his uncle Jake decided to get a name for himself. Established in 2009 Jake.C.Eley Roofing has built a great reputation as one of the best new crop of master roofers like his family before him. From Repairs to full new roofs and everything in between Jake will give you the best job as his reviews show, not just on here but on google and facebook also. So for a friendly reliable and Honest roofer get in Contact with Jake.